Happy Monday mamas! 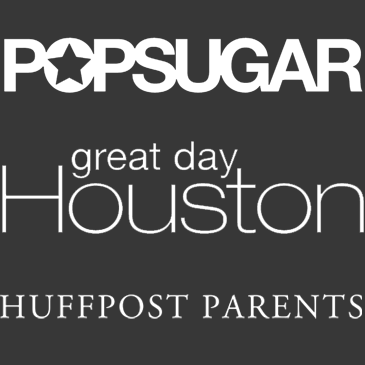 Today we have another special guest post for you by one of our blog besties. It’s crazy to me how this mama went from being a bloggger that I admired and read daily to one of my dearest friends. Funny how life works sometimes right? Could not be more thrilled to have this amazing lady in my life. She is an awesome friend and mama and she has all the best makeup advice which you are fixing to see first hand. Girlfriend is LEGIT so please show Meg some love…..
Hello, friends! 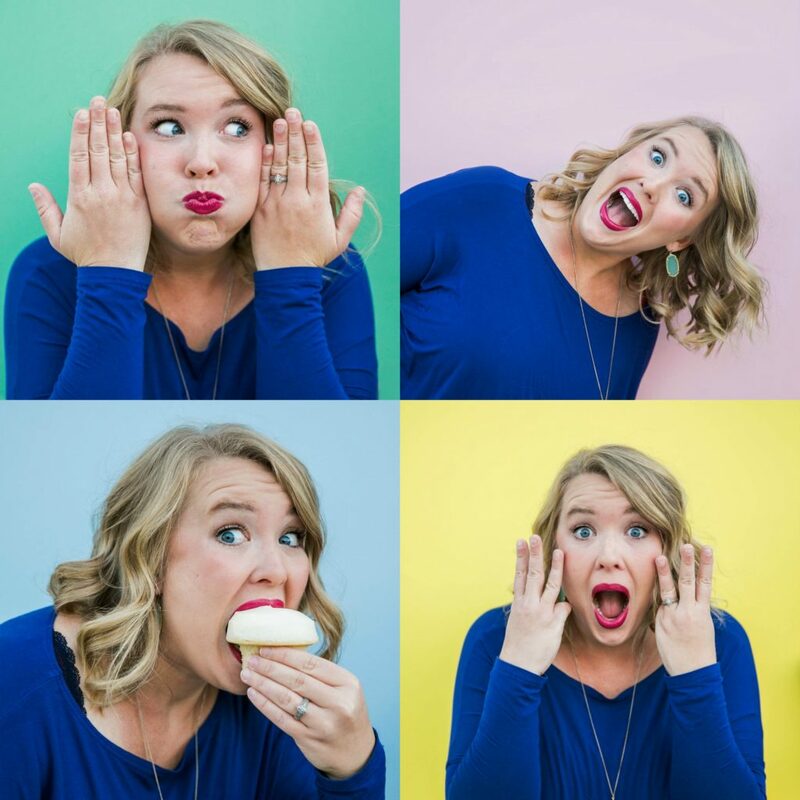 If you haven’t seen my face or heard me mentioned around these parts before – I’m Meg, and I write the blog Meg O. on the Go. My blog is a lifestyle, beauty, and family blog. I am a busy mom dedicated to finding time for fabulous. Today I’m here to give you tips on achieving your best “Five Minute Face.” Let’s face it, there are some days that we just don’t have the time to look put together. I am a working mom, and I usually have some time to myself to get ready in the morning. However, things happen. We are moms, and self-care takes the back burner sometimes. Makeup tends to be the last thing we think about. I’m the kind of mom who still likes to look put together, even if I am running short on time. I also don’t like to look like a complete mess when running errands or when I’m off work during the summers. That’s why a go-to five minute face is essential for me. It should be for you, too. Avoid the “are you tired?” questions and feel better about yourself. Us moms don’t always have to live up to the stereotypes that we can’t take care of ourselves. Have no fear, though! I’m sharing with you some of my favorite products and tips on my five minute face routine. Just remember – you are not creating a full face of makeup (although this is a full face for some of you). You are enhancing your features and making yourself look less sleep deprived. See? Not glam queen, but not half-dead. Now let’s take a look at my current five minute makeup routine. When I am short on time, I like to focus on my skin to look as flawless as I can. 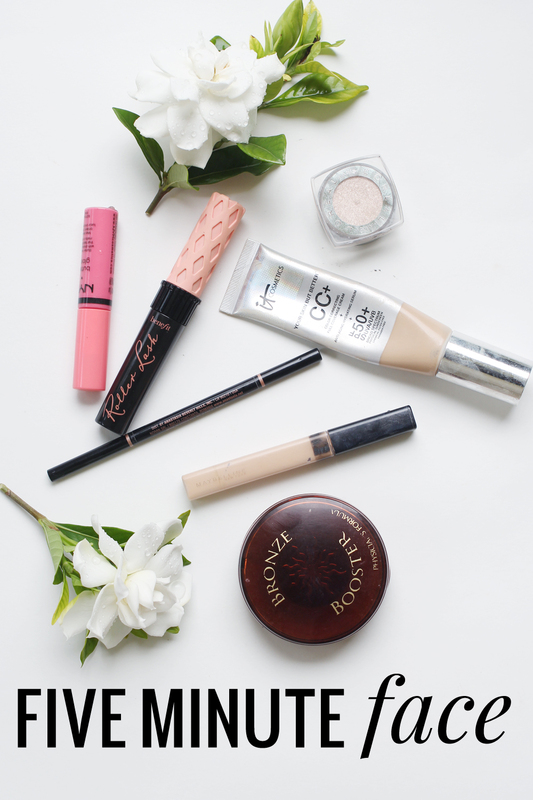 Having (or faking) great skin just makes the rest of your makeup look good. 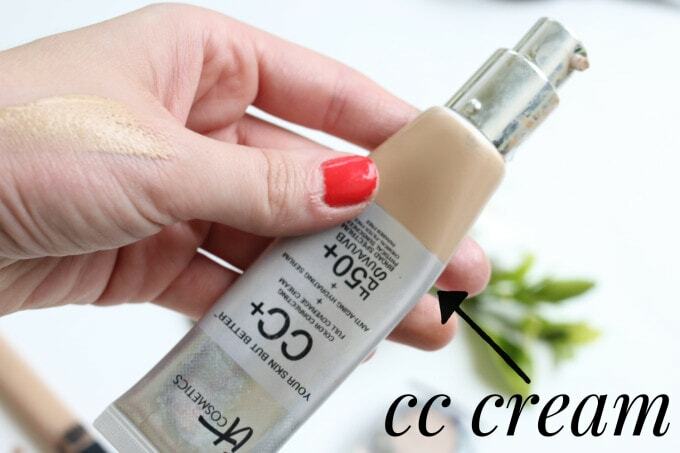 A CC Cream is a great way to go when you’re in a hurry. It has good-for-you ingredients, sunscreen, and is a higher coverage than BB creams and tinted moisturizers. The It Cosmetics Your Skin but Better CC+ Cream is a favorite of mine. It is gorgeous on the skin, and the coverage is amazing without looking overdone. I love concealers. I have one for correcting, one for brightening under my eyes, one for blemishes, one that is more sweatproof. High end, low end. I have a lot of dang concealers. Elsa and I have the same motto: “Conceal, don’t feel.” But when I’m doing a five minute face, I need something I can use pretty much everywhere. For that, I’ve been loving the Maybelline Fit Me concealer. It’s got great coverage, isn’t too dewy, isn’t too matte, and the doe-foot applicator makes it a breeze. I apply this under the eyes and any other places around the face that need concealing. 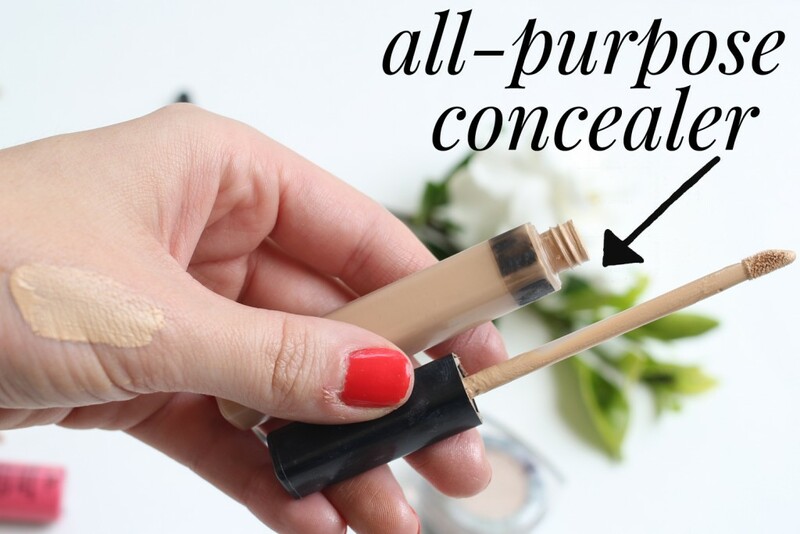 I actually have this concealer in two shades (in a lighter color and then one that matches my skin tone) and I use the lighter one for highlighting, but for a five minute face, I only have time for one concealer. Sometimes I’ll set my CC cream and concealer with powder, but sometimes I won’t. I usually skip blush when I’m in a hurry, and I just take a matte bronzer, like the Physician’s Formula Bronze Booster and swipe around the face. I apply it around the perimeter of my face, under my jaw, and under my cheekbones. 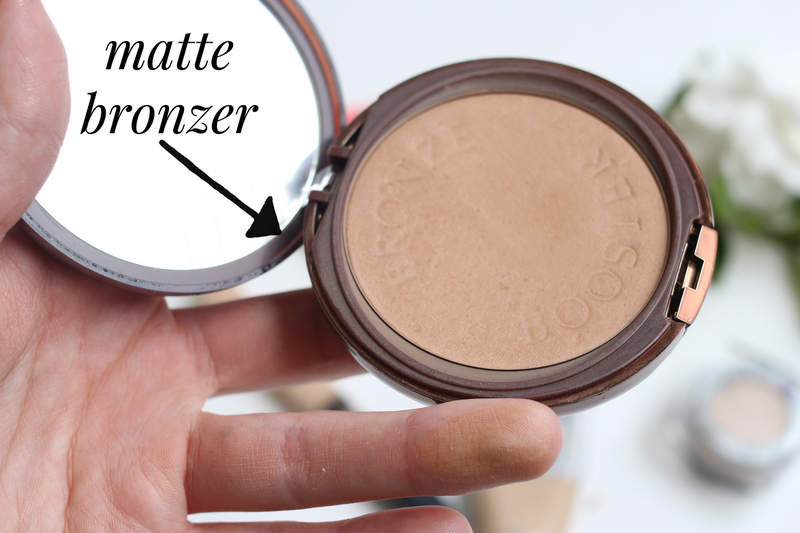 I like how this bronzer is super easy to use and it literally takes seconds. Most days I will always create an eyeshadow look that is at least 3 shades. 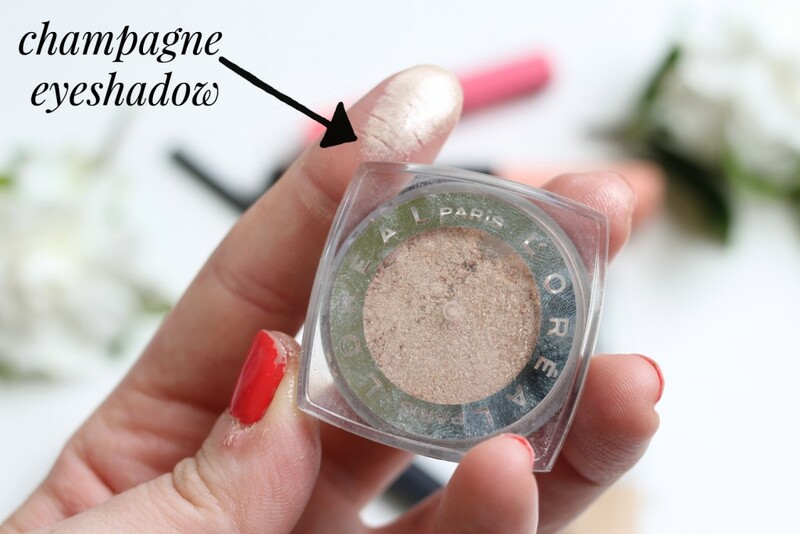 But when I have five minutes, I always reach for a champagne color. The reason is because it can be used literally all over the eye, from lid up to brow bone, and in the inner corner. I love the L’Oreal Infallible eyeshadows because they are like pressed pigments, and work best when used when applied with your finger. The shade “iced latte” is absolutely gorgeous! I usually forgo eyeliner on those five minute face days. After I apply my eyeshadow, I’ll do my brows quickly. My all-time beloved eyebrow pencil, the Anastasia Brow Wiz (not individually pictured, but still amazing). If you need “eyebrows on fleek” (you’re welcome, Michelle), this is your best friend. 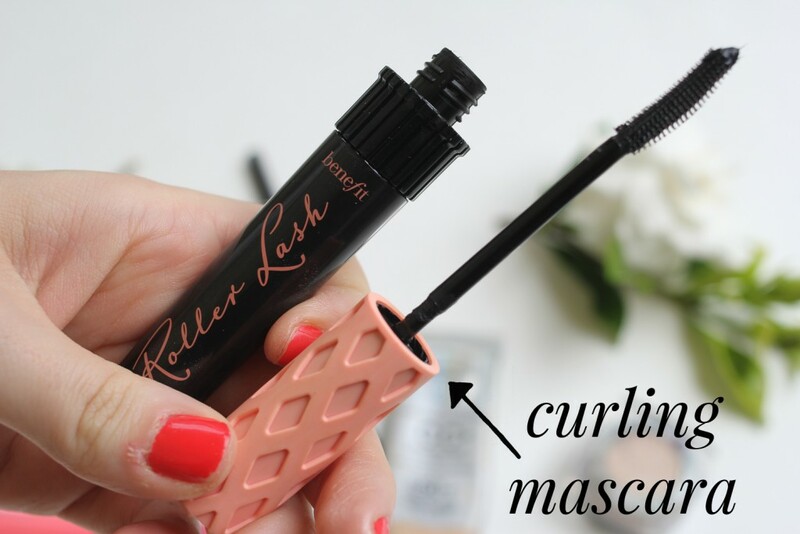 When I’m in a hurry, I don’t really have time to curl my eyelashes, so a mascara with a curling formula is essential. Lately, I’ve been adoring the Benefit Roller Lash. I totally didn’t expect to love it as much as I do. In the picture above, I did not curl my lashes at all. It also may be due to the fact that I’ve been using RapidLash for a few weeks and have seen significant improvement in my eyelashes. Nonetheless, this mascara is awesome. And the packaging is adorable, too! 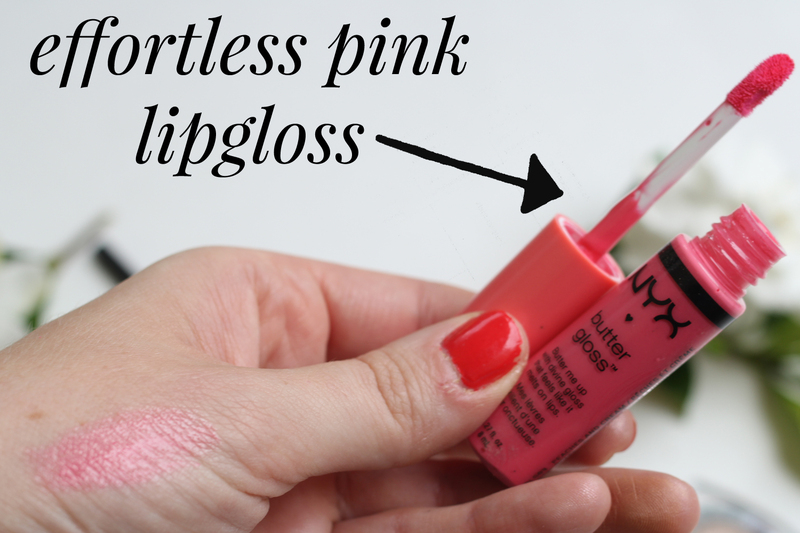 When you’re in a hurry, you have to reach for the most effortless lip product you own. It may be chapstick, but for me, I do like to give myself a hint of color whenever I can. That’s why I absolutely adore the NYX Butter Glosses. They aren’t sticky, and just go on so smooth and look gorgeous on their own. The one I’m wearing is called “Peaches and Cream.” It’s a beautiful peachy pink! And there you have it, ladies. My five minute face! What do you normally do when you only have five minutes? Any must-have products? Do tell! I love NYX lip glosses! Thank you for having me! Love y’all!!! !